Our high capacity containers are ideal for large retail, industrial, manufacturing, building and construction operations, where high volumes of waste are generated. The larger capacity skips (choose from 20 or 35 cubic yard capacity) save on transportation costs and can be provided as and when needed, or on a regular delivery and collection contract. 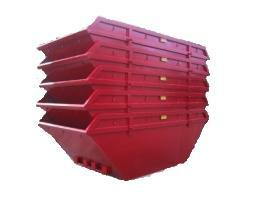 Enclosed, lockable options are suitable for asbestos and secure waste storage. Hazardous Waste? We’ll come and collect it! We offer the safe removal of asbestos, contaminated soils, food, plasterboard, tyres, fridges, diesel, spray cans, paint drums, mastics and solvents. All hazardous wastes will be disposed at specific, licensed treatment facilities . Our Hazardous Waste Disposal Service is ideal for those running construction sites. We take care of all waste documentation! We provide a full audit trail, including your necessary consignment note paperwork. 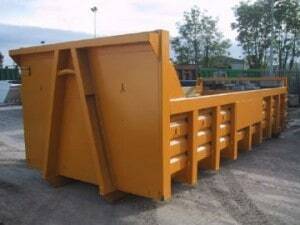 So for all your skip hire needs call us with your enquiry. Our rapid response service is guaranteed and totally reliable. Copyright © Airload Environmental Ltd 2012. All Rights Reserved.